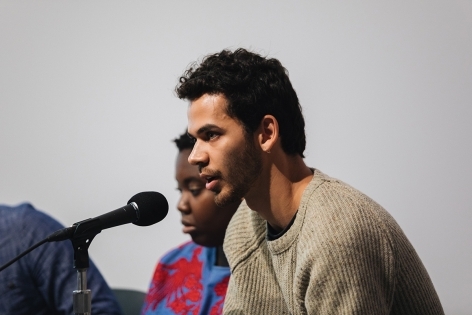 Saturday, October 28, 2017; 8:30 a.m. - 1 p.m. 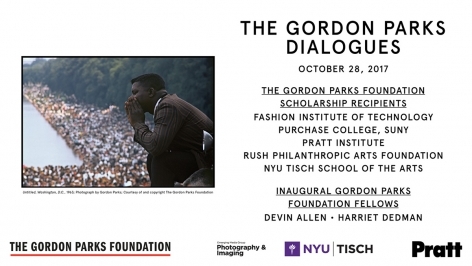 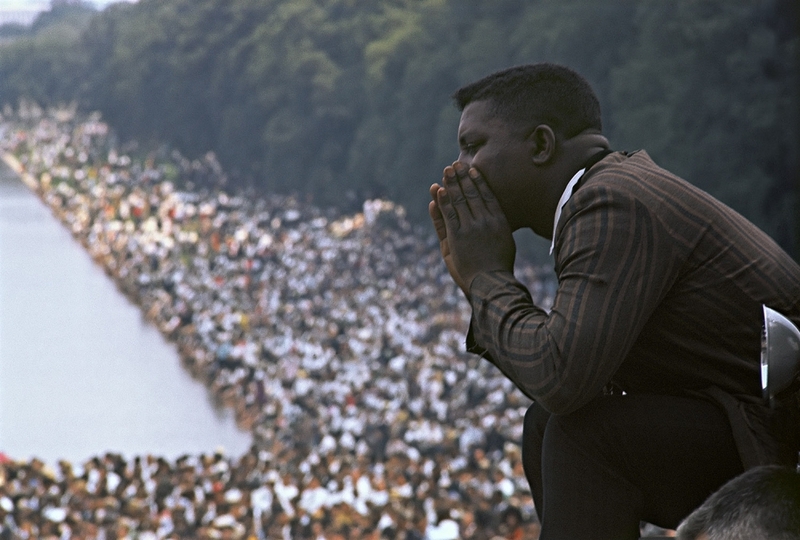 The inaugural Gordon Parks Dialogues – a symposium created in collaboration with NYU Tisch School of the Arts and Pratt Institute School of Art – is aimed at helping young people to, in the vein of Gordon Parks, explore social justice themes and the world around them through an artistic lens. 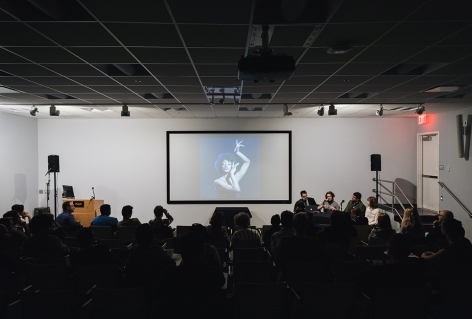 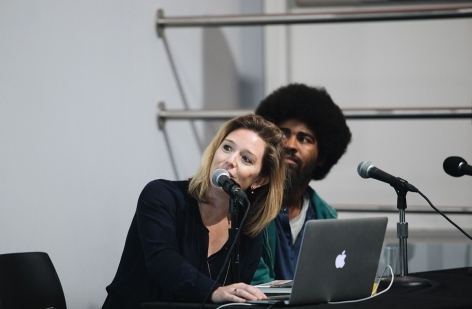 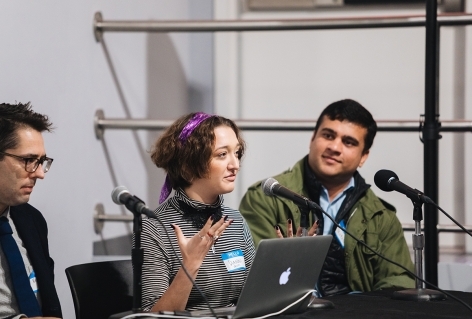 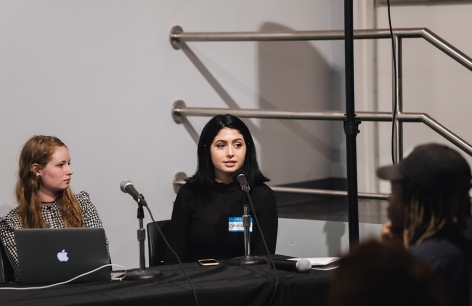 The full-day event took place on Saturday, October 28, 2017 from 8:30am to 1:00pm at Pratt Institute’s Brooklyn campus, and included panel presentations by Gordon Parks Foundation Scholarship Recipients from five academic institutions including Fashion Institute of Technology/SUNY, Harlem School of the Arts, NYU Tisch, Pratt Institute, Purchase College/SUNY, and Rush Philanthropic Arts Foundation. 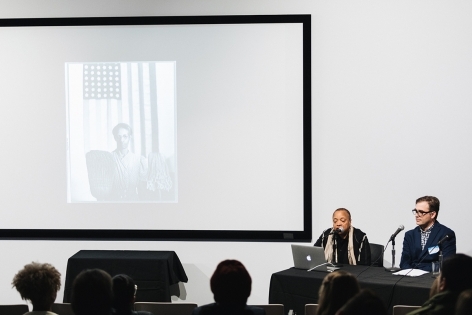 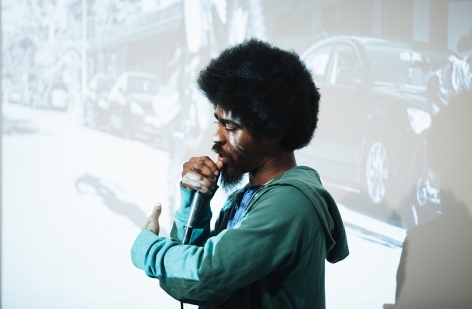 Fourteen students and alumni presented topics in their creative work inspired by Gordon Parks’ famous assertion that he used his camera as “a weapon of choice” to contest racial injustice. 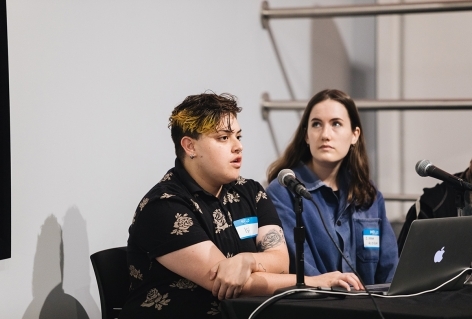 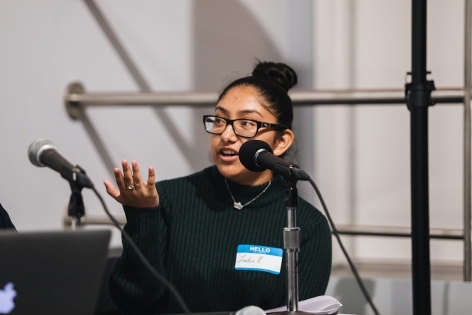 Their presentations explored a range of social justice related themes including racism, sexism, the visibility and rights of the LGBTQI community, the social life of children of incarcerated mothers, and surveillance in public space.